At its core, any Marine Corps New Equipment Training Team is responsible for—as the name suggests—arming Marines with the knowledge and skills they need to operate and maintain new equipment to ensure Marines’ future success on the battlefield. When new equipment is fielded, the NETT provide the initial training to experienced legacy system operators and maintainers to help get them acquainted with the new system in the shortest time possible. 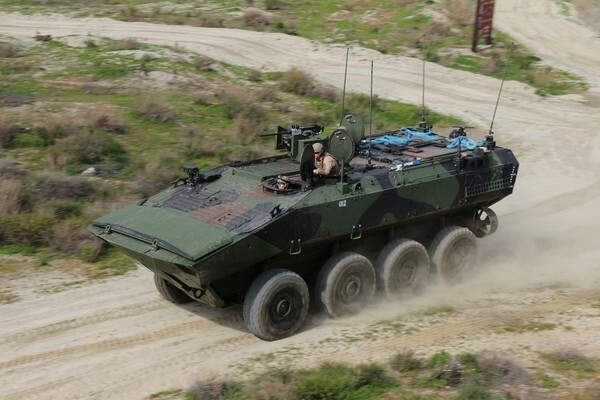 When the new system is the Amphibious Combat Vehicle—game-changing not only in the amphibious capabilities it provides to Marines, but also in that it’s replacing a nearly 50-year-old legacy system—the NETT are in a unique position to bridge the gap between the past and future of amphibious combat in the Corps. Currently, most new equipment training teams are comprised of civilian subject matter experts from Industry, the ACV NETT is comprised primarily of amphibious assault Marines who are able to apply their experience and expertise in operating and maintaining the legacy vehicle to operating and maintaining the new one. Though the NETT falls under the Virginia-based Advanced Amphibious Assault program office at Program Executive Officer Land Systems, the office responsible for acquiring and fielding the system, the team itself is housed at the Amphibious Vehicle Test Branch at Camp Pendleton, Calif., maximizing the team’s ability to spend time on and become proficient with operating and maintaining the vehicle. To aid Marines’ transition from the legacy to the new platform, the NETT faces the challenge of infusing old practices into new Standard Operating Procedures and Tactics, Techniques and Procedures for the ACV. On the vehicular maintenance side, NETT Marines also help design the maintenance course. Currently, the team is busy helping the program office prepare for a four-month logistics demonstration—a comprehensive event evaluating the maintainability and sustainability of the vehicle—scheduled for this fall. While the NETT’s main role is training Marines on maintaining and operating the ACV, the team also licenses drivers and, as operators of the vehicle, are integral participants in the rigorous operational, logistical and evaluative vehicle tests initiated by PM AAA. Having experienced amphibious assault Marines on the NETT has been extremely beneficial to the program office, particularly during operational assessments and testing. The NETT will start training Marines from Delta Company, 3rd Assault Amphibian Battalion, 1st Marine Division, in January 2020. Delta Company will be the first amphibious assault crews to be trained on the new vehicle. Upon completion of training, the NETT will help guide the Delta Company Marines as they participate in tests assessing the effectiveness of the first set of low-rate initial production ACVs. PM AAA anticipates receiving the first set of low-rate production vehicles this summer.